From the inside, this car is no smaller than a sedan. 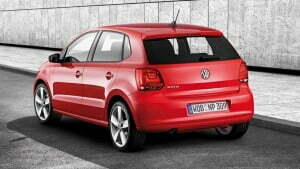 Volkswagen Polo Mk5 is a fifth generation hatchback version launched by the Deutsche car company. After the success of its previous counterparts in Europe, the Germans decided to expand their market in Asia with India as its base thereby constructing an assembly plant in Chakan, Maharashtra in March 2009. 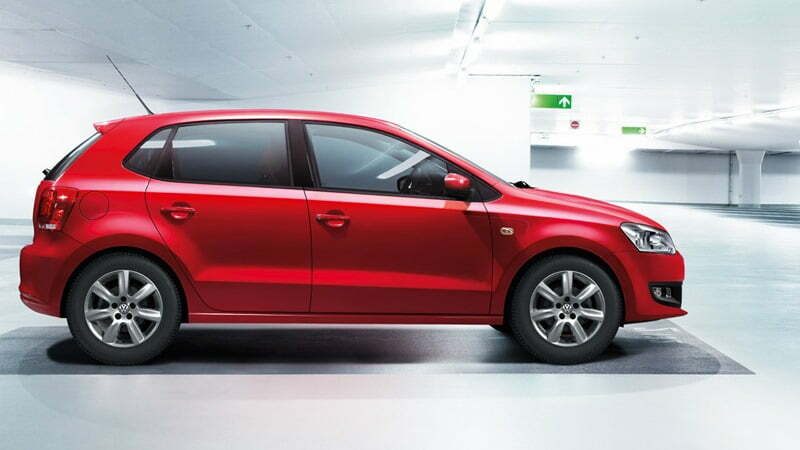 With a new powerful engine, uncompromising features, aesthetic appeal and unbound luxury, the new Volkswagen Polo is the so called Palace on Wheels among the existing Indian hatchbacks. 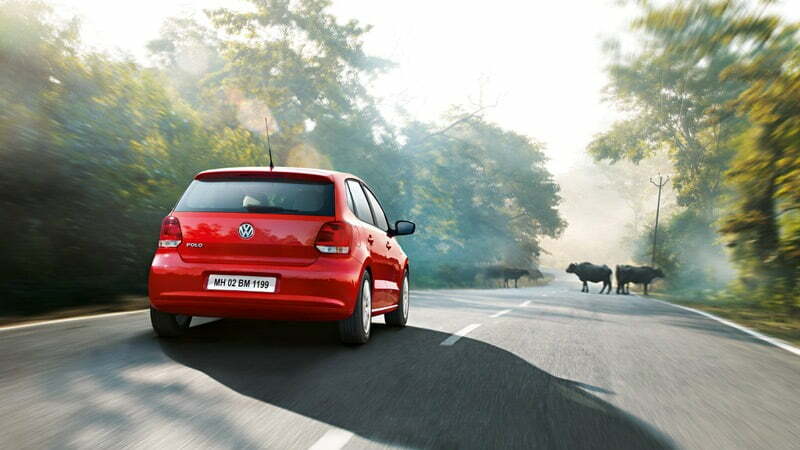 It has electrifying exteriors and unparalleled interiors that will leave you spellbound. 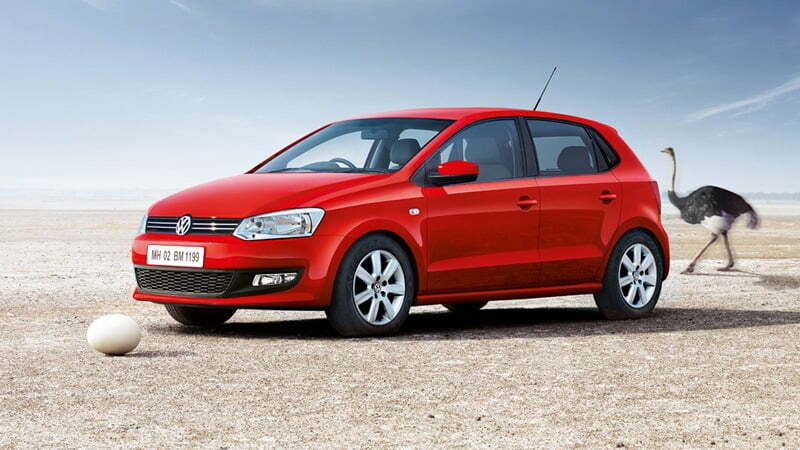 The Polo, with its many impressive features costs slightly less than its hatchback competitors, and ranges from 4.5 to 6.5 lakhs. The Volkswagen Polo gets a simple but a uniquely stylish and dynamic look from the front due to its long bonnet, dominating front grille and sporty headlamps whereas a classy and elegant look from the rear due to its relaxed tail lamps and an elevated bumper. The front bumper poses a black color grille accommodating for hexagonal shaped fog lights at its ends which appear to be aerodynamic when viewed from side. The famous VW logo with a glossy chrome finish sits right at the center of the grille making it dominant and visible. Body colored bumpers, handles and rear view mirrors, front and rear fog lamps, rear spoiler with a brake light, chrome-plated interior trims, spokes with R15 size of alloy wheels, stylish roof antenna and the big VW logo on the trunk, all add up to the overall personality of the car. It measures 3790 mm in length, 1682 mm in width and 1453 mm in height. The overall appearance of the car is broad, low posture and a compact hatchback. As the name of the company suggests, VW polo is a common man’s car. From the inside, this car is no smaller than a sedan. The dual tone interior (black and beige) gives it a professional and rich look. The seats are pushed slight lower for comfort and convenience and made out of plush material. 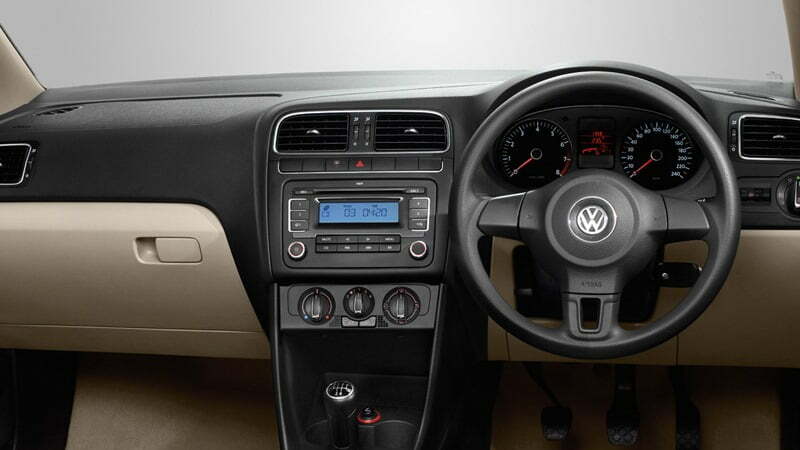 All the buttons have been coated with a soft material as compared to the other hatchbacks. The car can comfortably accommodate 5 passengers. Tilt and telescopic adjustable steering, power steering, power windows and door locks, tinted glass, rear defogger and wiper, storage space behind front seats and front door side pockets, CD/MP3 stereo audio system with 4 speakers, remote central locking and open door warning light feature on the display make this car a complete package when it comes to interiors. All in all, the ergonomics of this machine give a pleasant feel once you enter it. After all, it’s German engineering!! 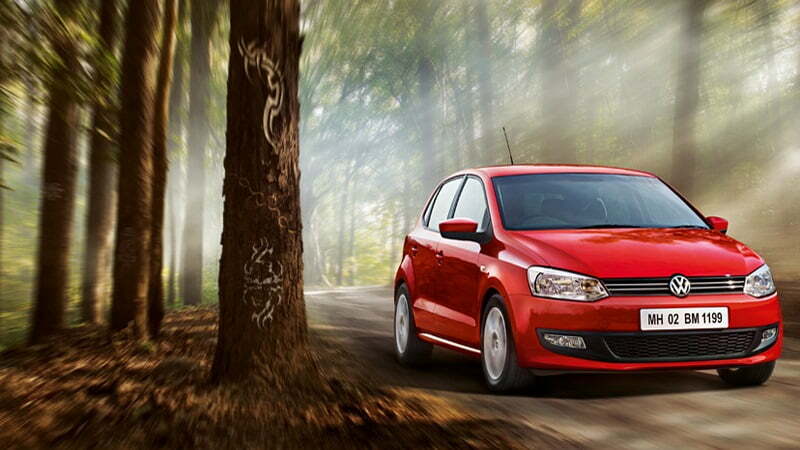 The Volkswagen Polo comes with both petrol as well as diesel engine options. 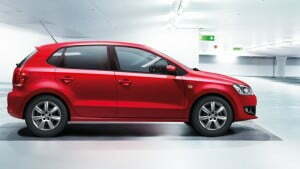 For petrol there’s again two options, with the first one being a 1.2L engine and the second being 1.6L engine. The 1.2L petrol engine produces a maximum power of 75PS @ 5400 rpm and a max torque of 110 Nm @3750 rpm, whereas the 1.6L petrol engine produces a maximum power of 105PS @5250 rpm and a max torque of 153 Nm @ 3750 rpm. Coming to the diesel variant, the car gets the same displacement volume as that of the 1.2 L petrol engine. This three cylinder diesel engine delivers a maximum power of 75 PS @4200 rpm and a maximum torque of 180 Nm @ 2000 rpm. 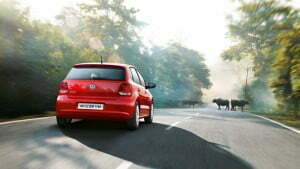 The in-built hi-tech safety and security features of Volkswagen Polo overrule most of the other Indian hatchbacks. Electronic anti-theft immobilizer, dual airbags for driver and front passengers, central locking, ventilated front disc brakes, seat belts with 3 point automatic safety belts and high mounted third brake light are some of the features that are incorporated in this car. Overall, one can assertively trust the safety features of this machine.